We could probably just leave this with nothing more than the headline. 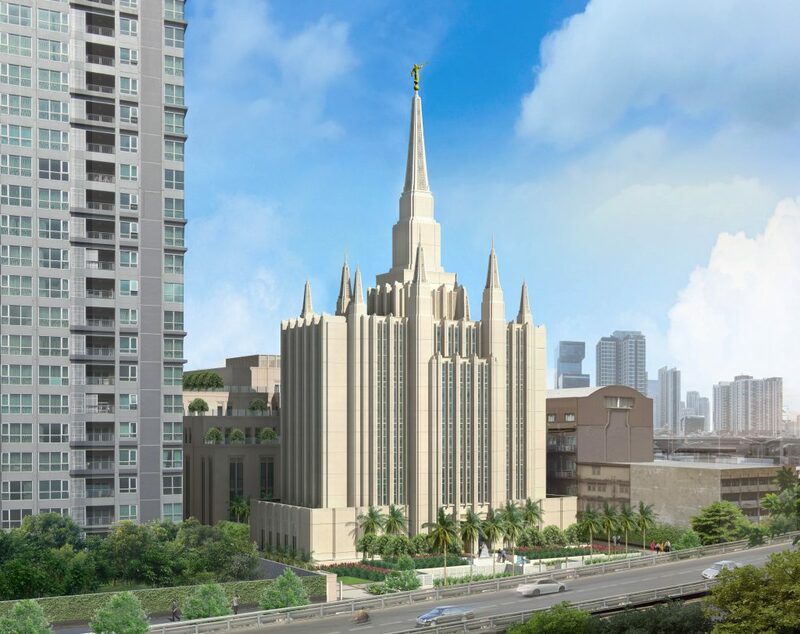 Check out the freshly released artist’s rendering of the Bangkok Thailand Temple. 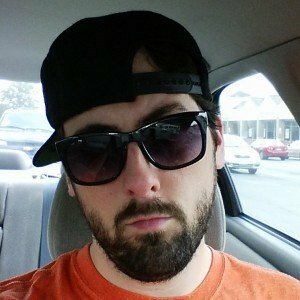 Spire party! We haven’t seen a temple like this in years. 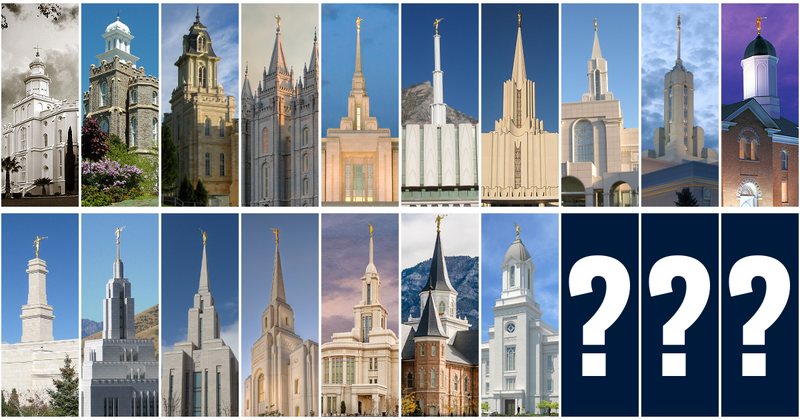 It still embraces the “anonymously modern” aesthetic used across most modern temples, but it certainly puts a spin on things, particularly the bevy of spires adorning the top, reminiscent of the Oakland California Temple. 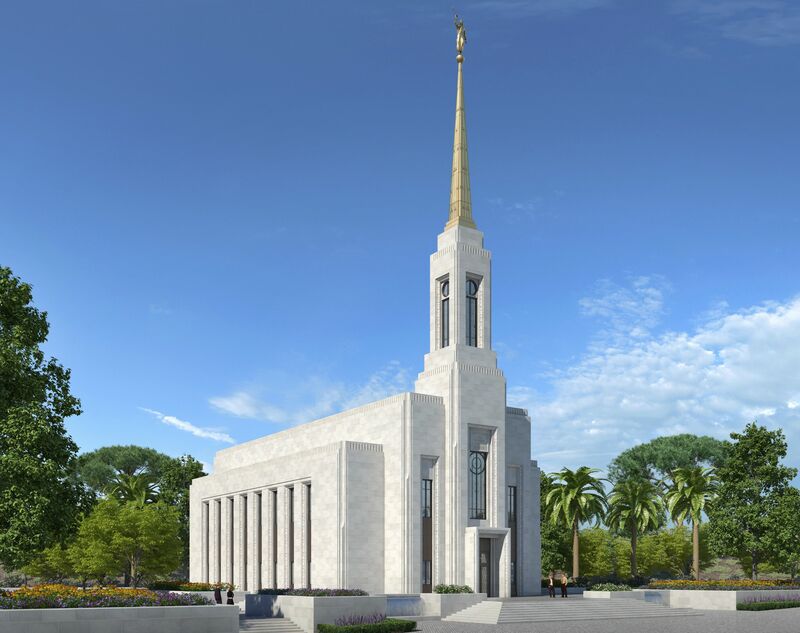 The central spire is somewhat evocative of the Gilbert Arizona Temple, with its subtle sloped tapering. The window design calls back to some of the temples of the 1950s, such as Los Angeles and New Zealand. As one reader pointed out, the temple appears to be a modern interpretation of the Wat Arun, a famous Buddhist temple in Bangkok. 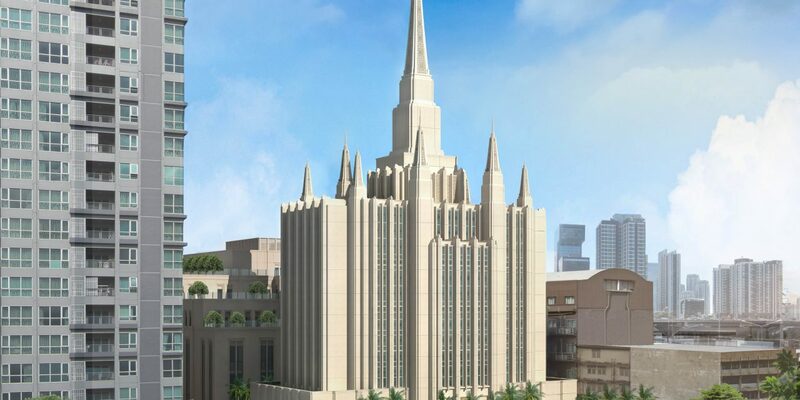 Announced in April 2015 (and predicted by us right before that meeting), the temple will be a 44,405 square foot, 6-story building, so it’s no slouch. An additional 91,370 square-foot building will feature two meetinghouses, a seminary, institute facilities, a mission office, and mission housing, per the Mormon Newsroom. So we’re looking at a sort of ground zero for all things Church in Thailand. The temple will be the first in mainland Southeast Asia, an area that has been growing rapidly. (Cambodia organized two stakes at once only a few years ago.) 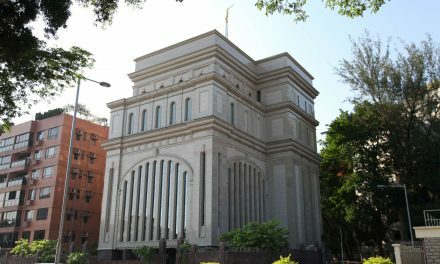 Currently the nearest temple is in Hong Kong, approximately 1,000 miles away. No groundbreaking or other dates have been announced, but an artist’s rendering is typically a precursor to a groundbreaking sometime within the next year. After that, temple construction often takes approximately three years, give or take five years. 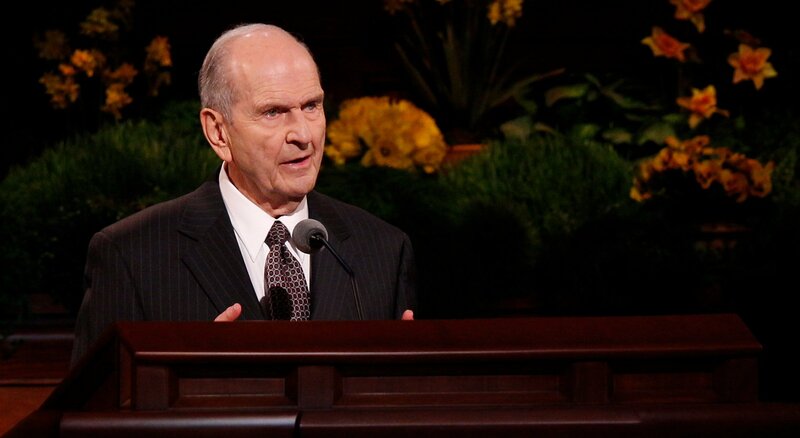 Update: In the original article we erroneously interpreted the Church’s announcement to mean that the temple would be within a multi-use structure, which is not the case. We regret the error.